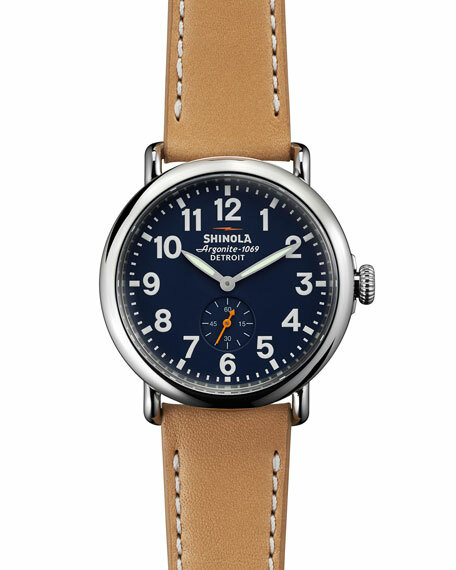 Shinola classic field watch from the Runwell Collection. 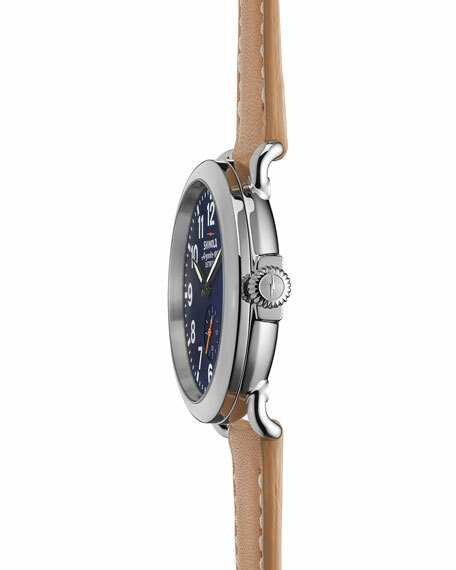 41mm stainless steel case with double curve sapphire crystal. 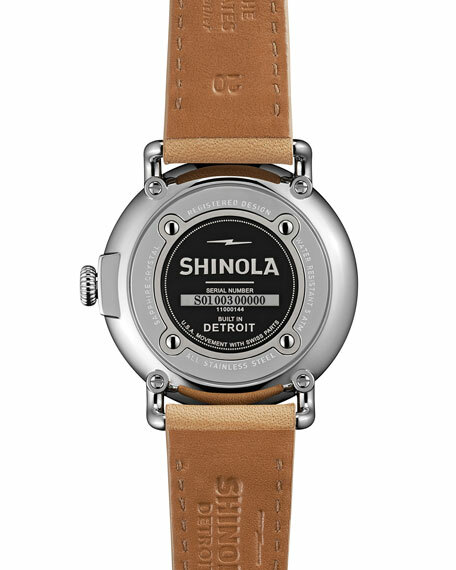 Topstitched leather strap with buckle. Blue dial with Arabic numerals, hour markers, and luminous hands. Detroit-built Argonite 1069-quartz movement with Swiss parts. Water resistant up to 5ATM. Assembled in USA of Swiss materials. For in-store inquiries, use sku #276127.